Deputy First Minister John Swinney did not say directly that the SNP would barge ahead with a vote without the government’s consent, but speaking on the BBC’s Radio 4 Today program, he cautioned May over refusing to give consent for another referendum. “If Theresa May takes that stance she will be standing in the face of Scottish democracy and that is a very, very unstable and dangerous position for the Prime Minister to be in,” Swinney said. 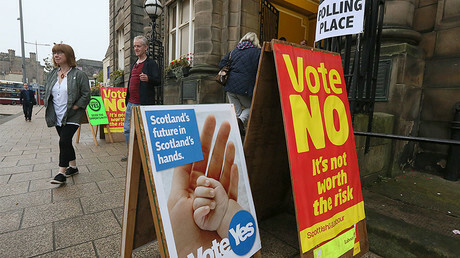 The referendum proposal will be debated in the Scottish parliament at Holyrood over the course of the coming week. Swinney said he is confident MSPs will agree to a repeat of the 2014 vote to bring Scotland out of the UK. 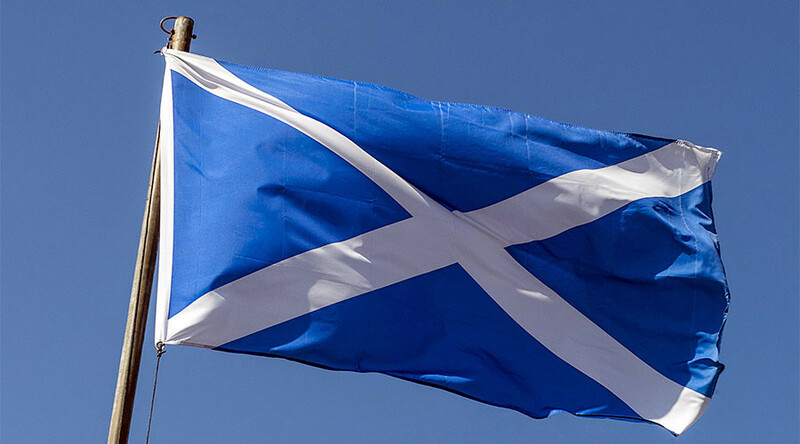 “I’m confident the Scottish parliament will demand the right to start the process of having an independence referendum and it will be up to the Prime Minister to recognize the democratic wishes of the people of Scotland,” Swinney remarked on the BBC. May has made it clear she will not be approving a referendum in 2018-2019, the time-frame announced by Scottish First Minister Nicola Sturgeon on Monday. “Just at this point, all our energies should be focused on our negotiations with the European Union about our future relationship,” May said during an interview with ITV on Thursday. She added that it would be unfair to make Scotland decide on an issue it knows hardly anything about. Sturgeon, the SNP leader, told reporters on Monday a referendum would happen between autumn 2018 and spring 2019, precisely because the terms for the UK’s exit from the EU will be clear by that time. In response to May’s remarks, Sturgeon tweeted that the prime minister must lack confidence in her own timetable if she thinks Brexit negotiations will not be laid out by autumn next year. One last point - if PM thinks we won't know terms of Brexit by autumn next year, she must think her own timetable will fail. The standoff comes as the SNP gathers for its spring conference in Aberdeen. Speaking on RT UK, Galloway shrugged off the idea that those who voted to stay in the EU will automatically swing the vote for independence. The referendum would be the second after one in 2014, which saw a majority wanting to stay in the UK.